Part loyalty, part because I want to test it out, but more importantly I want you to test it out and build your success. All success starts from the inside out, you must develop your brain power and mind-set if you are ever going to live life on your terms. Lack of self-worth and confidence are peoples biggest weaknesses and those who say they are confident are usually the ones that aren't. People with a powerful self-worth and confidence are never satisfied, they are always looking for ways to improve themselves personally and professionally. The Your WEALTHY BRAIN System is probably one of the best personal development programs because its no.1 focus is to give you the right start in developing your wealthy brain and success mind-set. Before you can create wealth you must have the brain power to create it. Want to turn your biggest weakness into your biggest strength? Want to make REAL money? Want to live life according to what is IMPORTANT to you? Want to perform better in all areas of your life? 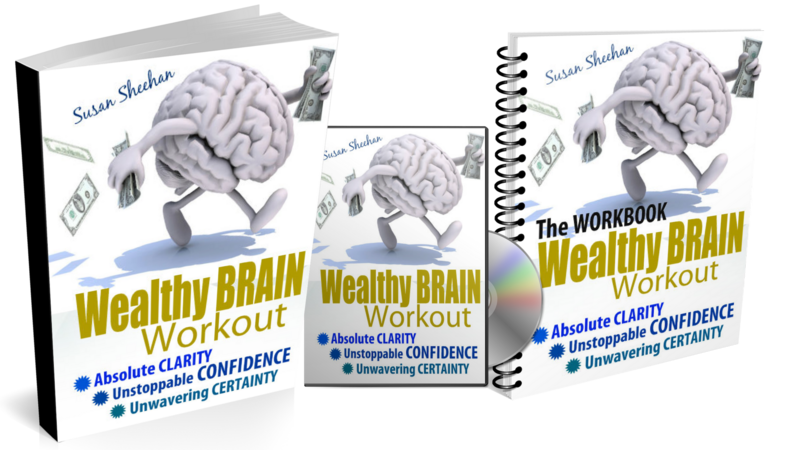 I created the the Wealthy BRAIN Workout for one reason, to make you more successful. I have a feeling that some of the work in the program you probably have done before but I also know that this is going to help you fill the gaps and give you immediate results. Turn your unworthy brain into a wealthy brain and change your life forever. An E-BOOK that outlines the facts about why it is important to develop your wealthy brain and success mind-set and how to do it. A WORKBOOK that you can work through at your own pace that will help you help to build your self-worth and confidence. Get a VIP ticket to a SMARTCOACH7 event, anywhere in the world. Remember, there is a lot of room at the top and it's pretty crowded at the bottom. The good news is the Wealthy BRAIN Workout is the place to start to get you to the top. ALL Success Starts from the Work You Do On Your Developing Your Brain Power and Mind-set. Start Today!